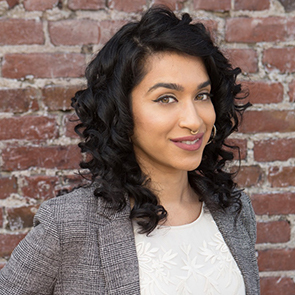 Rima Chaudry joined Impact Justice in 2017 as a Senior Program Manager overseeing the nationwide implementation of restorative justice juvenile diversion programs. Rima has nearly 20 years of experience in grassroots community organizing, and spent more than 10 of those years leading social justice campaigns in the nonprofit sector through providing program management, resource development, training, and communications expertise. She first organized against California’s Proposition 21 in 1999, a crime bill that threatened harsh punitive measures for youth involved in crimes, including trying youth as young as 14 in adult courts. Though Prop 21 passed by a wide majority, she became committed to dismantling institutional racism and mass incarceration. Prior to joining Impact Justice, she worked at several social justice organizations, including Family Violence Law Center, Youth UpRising, and most notably the Ella Baker Center for Human Rights. There she supported a landmark campaign to reform California’s juvenile justice system and mass incarceration nationwide, which led to solitary confinement reform, closure of the most notorious youth prisons, and national justice reinvestment efforts. Rima received a B.A. in Sociology from San Francisco State University, and a master’s degree in Public Policy with a concentration on Assets, Inequality, and Poverty Alleviation from Brandeis University. During her time at Brandeis, she led historic policy changes to address racial disparities in the recruitment and matriculation of faculty, staff, and students university-wide. She currently serves as President of the Board for Alipato Project.